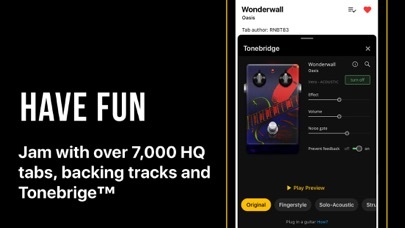 I've been a fan of ultimate guitar for a long time, but over the past two years whoever is running the website is attempting to squeeze every cent out of their userbase. Ads all over the place. Even ads that play audio on the app. So if your playing some music on your phone and hoping to jam along with it, be prepared to have the ads on this app cut off your music. Features that have been on the website and app for years are now suddenly part of the paid version. I've moved to songsterr which has been a better experience overall. 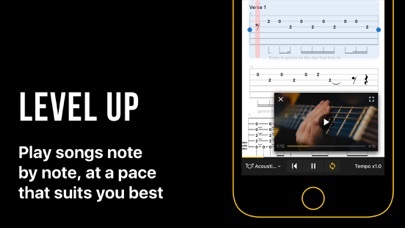 I really enjoy this app for learning new songs, even the free version is good. The only problem is it frequently crashes or a blank page pops up when trying to open a new window. This app would be great if they fixed the bugs. 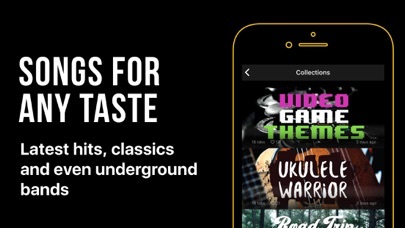 This app allows you to learn every song! Totally worth it! I absolutely love it... this helps me so much in my playing! Used this for years and it was great, but now it’s all about annoying the hell out of you until you pay for a version without ads. Even a month ago I only had to sit through one ad when opening a tab, now in the middle of me playing a song my screen goes black and plays an add and they insert print ads in the middle of the song. Get that trash out of my face! If I want to buy something I will! 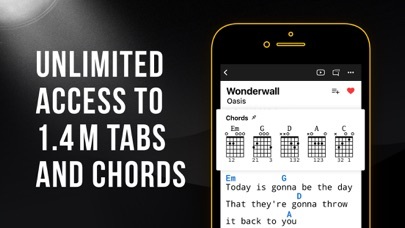 flashing your ad at me while I’m trying to learn a song is a sure fire way to get me to hate your brand and never spend one penny on your garbage. And shame on ultimate guitar for giving in/ selling out to become a promoter of this nonsense. Is nothing sacred? I can tolerate an ad when I open the app or click a song, but really in the middle of playing a song?!?! Can you stoop any lower? Piss off with this nonsense! Always fresh and up to date with the latest songs. Couldn’t ask for a better practice partner. This app has so many great features I couldn’t list them all. A must have for any guitarist. I used ultimate very regularly almost a decade ago. Life got crazy and I put my guitar down. I’m jumping back in and holy hell they’ve stepped their game up. 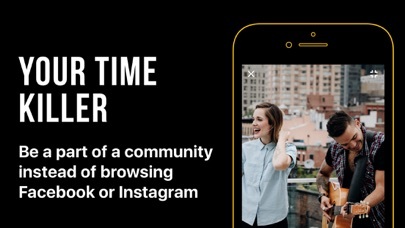 The tools and community that they’ve incorporated into the app is astonishing. Well done and keep it up.